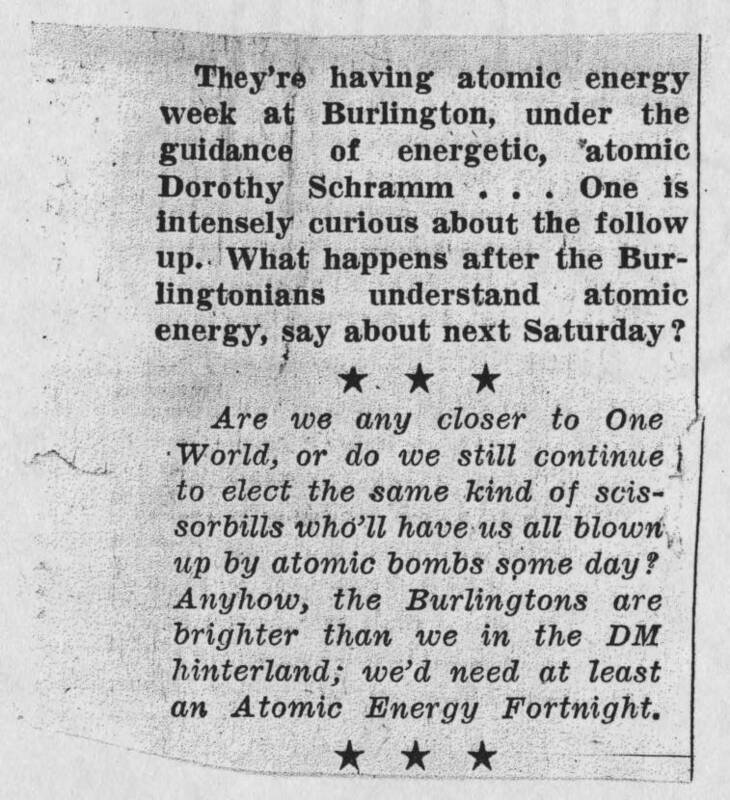 They're having atomic energy week at Burlington, under the guidance of energetic, atomic Dorothy Schramm . . . One is intensely curious about the follow up. What happens after the Burlingtonians understand atomic energy, say about next Saturday? Are we any closer to One World, or do we still continue to elect the same kind of scissorbills who'll have us all blown up by atomic bombs some day? Anyhow, the Burlingtons are brighter than we in the DM hinterland; we'd need at least an Atomic Energy Fortnight.